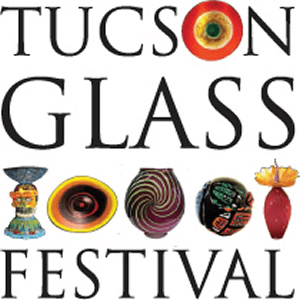 Tucson Glass Festival includes glass exhibitions at 17 different galleries and museums around Tucson. UAMA’s contribution is Ana Thiel: Layer of Being – A Thirty Year Retrospective. Tickets for the entire weekend are $10. Ten dollars nets you admission to EVERY event venue during the weekend (3 day pass). Children under 5 get in for free. TIcket can be purchased from Sonoran Glass at any time, and at Sonoran Glass and Philabaum Glass during the weekend.